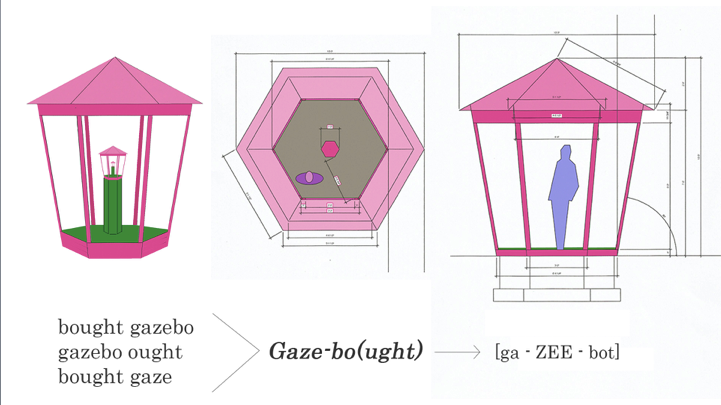 Leticia Bajuyo awarded a $5,000 grant for her “Gaze-bo(ught)” Installation, an infinite series of gazebos for historic Lyon Square during the 19-day event this fall. GRAND RAPIDS, Michigan, JUNE 1, 2016 -- ArtPrize, the radically open international art competition decided equally by public vote and expert jury, in partnership with 21c Museum Hotels and Delta Air Lines tonight announced the Pitch Night Louisville winning entry. Gaze-bo(ught) by Leticia Bajuyo earned the highest consideration of the five judges, including Alice Gray Stites, 21c Museum Hotel Chief Curator and Museum Director who previously served as the Outstanding Venue Juror at ArtPrize 2013. 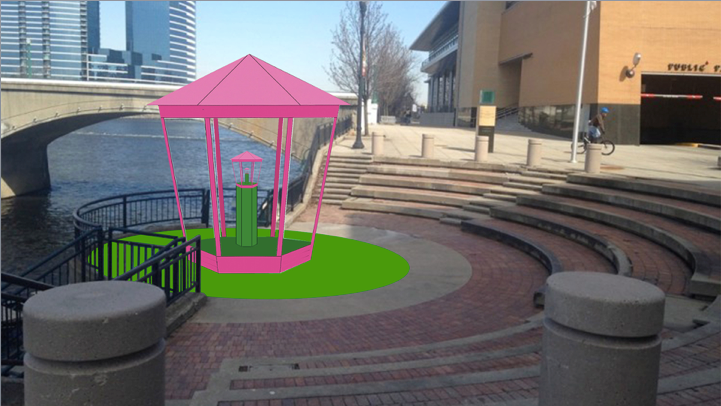 The installation took home a $5,000 cash grant as well as an historic venue in the heart of downtown Grand Rapids during ArtPrize Eight, slated to take place from September 21-October 9, 2016. “The playful colors will be a beacon drawing visitors to Lyon Square where they will dive deep into a contemplation of not only the work but an interior contemplation of both the historic site and the context of ArtPrize,” said Stites who announced Bajuyo’s achievement in front of a capacity crowd within one of 21c Louisville’s main galleries. Bajuyo’s work was selected from among five artists and artist collectives that were invited to present at tonight’s Pitch Night event. Each artist was given five minutes and five slides to sell their ambitious, site-specific installation idea to a panel of local arts professionals including: Chris Radtke, artist and co-owner of Zephyr Gallery, Partner at IDEAS xLab; Chris Reitz, Assistant Professor, Critical and Curatorial Studies & Gallery Director, Hite Art Institue of the University of Louisville; Daniel Pfalzgraf, Curator at the Carnegie Center for Art & History; Joey Yates, Associate Curator of the Kentucky Museum of Art & Craft; and Alice Gray Stites, 21c Museum Hotels Chief Curator and Museum Director. The Kentucky-based artist’s work intends to build a monumental “meta-moment” similar to a play within a play, or an infinite series of photographs that question one’s own existence amongst time and space. In addition to the infinite series of bubble-gum pink gazebos providing an air of leisure, desire and romanticised fantasy; Bajuyo will install a carnivalesque merchant cart to return viewers to the conflicting realities of commerce, trade and contemporary art. Bajuyo’s work often engages a metaphysical narrative by disrupting one’s sense of scale through playful and elegant presentation of familiar objects. ArtPrize Eight will take place across downtown Grand Rapids, Michigan from September 21-October 9, 2016. Artist registration for the world’s largest art competition is now open through June 9.